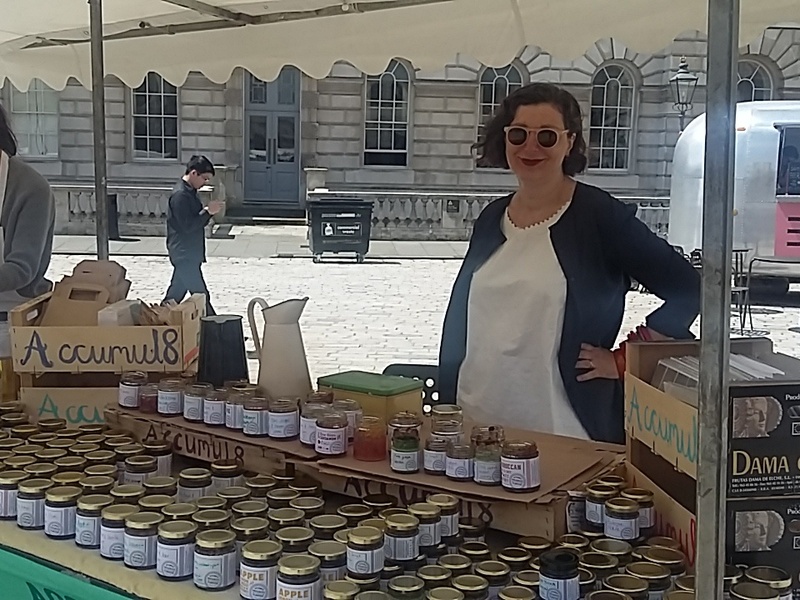 Accumul8’s director Marice Cumber spent last weekend at the wonderful Utopia Fair at Somerset House. The Utopia Fair was all about showcasing community projects and initiatives that work towards ideal principles and creating a better world. These projects were based around energy, surplus food, well-being, recycling, climate change, society and engaging the disenfranchised. All showed how people can really make a difference with small actions, passion and persistence to change the negative, and enable community action towards a positive outcome. It was really rewarding and refreshing to be around so much positive energy and in such a uplifting environment – especially at the beautiful Somerset House! 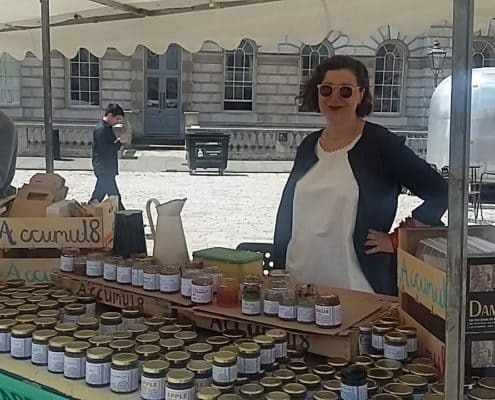 Accumul8 were there with our delicious Preserves with a Purpose – using surplus fruit to make jams and chutneys that we sell to raise funds for creative activities for young people living in hostels. We had a great time and it was so rewarding being able to meet and talk to so many people about the work we do. 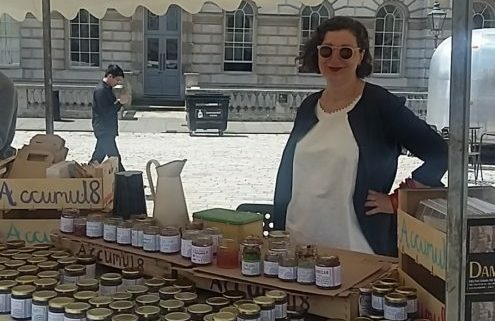 Here is Accumul8’s director, Marice Cumber, at the Utopia Fair – just look at that range of Accumul8 preserves!